Become familiar with the current American with Disabilities Act (ADA) law around service animals here ada.gov/service_animals_2010.htm. It is important to know that disabilities are not always visible and legitimate service dogs come in all breeds and sizes. We do not recommend approaching a stranger with a potentially fraudulent service dog. Below are some guidelines to help protect people and their service dogs from discrimination. If a friend, family member or stranger asks me how to bring their pet dog into a public setting, how do I respond? Education is the key to reducing the number of pet dogs masquerading as assistance dogs. · Explain how bringing a pet into public is detrimental to the lives of people with disabilities who rely on highly skilled assistance dogs to enhance their independence. 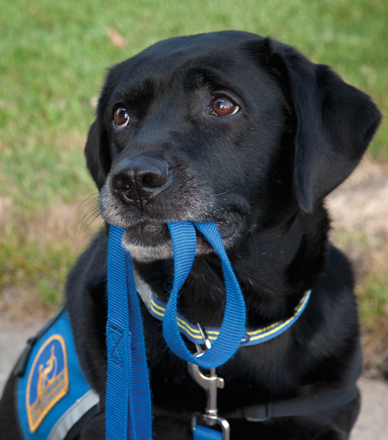 · Explain how an assistance dog is trained to help its handler who has a disability. · You might also clarify that posing a pet as a service dog is against federal law. Why is it so bad for a pet to wear a service dog vest? Many people with disabilities who use service dogs have faced increased discrimination from business owners and other patrons, due to prior bad experiences with fraudulent service dogs. Because of bad experiences, some businesses have gone so far as to deny service dog users access—which is against ADA law. Assistance dogs are specially trained to perform tasks that directly mitigate a person’s disability and to behave while in public. · Pet dogs don’t have this training and may act unsuitably in a public setting. · Pet dogs can be stressed by being out in crowded places or might not be good with other dogs. · They may interfere directly with a working assistance dog by distracting or threatening it. · Pet dogs can also interfere indirectly by behaving inappropriately, like having accidents, barking, eating food or disturbing other customers. · Additionally, impersonating someone with a disability to obtain benefits is a crime and it is punishable in many states by fines or jail time. Business can learn more about their rights at ada.gov/qasrvc.htm or ada.gov/service_animals_2010.htm. What should I do if I see a potentially fraudulent service dog or a pet dog in a business? Do not confront the dog’s owner. Politely ask to see the store manager and inform them of their rights, as well as explaining why fraudulent service dogs have an impact on the rights and independence of people with disabilities who rely on trained assistance dogs. What do I do if someone with a disability asks me about assistance dogs? Please refer the person with a disability to cci.org for information.